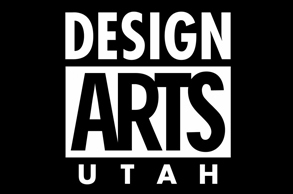 The Design Arts platform is an annual review dedicated to the promotion of excellence in the diverse fields of design in Utah. They strive to help community members see, experience, utilize and value the art of design that surrounds us. The LOOP Bench Project, which won a Design Arts '17 award for design excellence from the Utah Department of Heritage & Arts, Division of Arts & Museums, takes the native ocean flora along the Manhattan Beach, California, coastline as its point of departure. The bench is a simple, solid concrete “loop” derived from a section of slice of the basic tube structure of much of the sea flora studied. It is curved with a slight undulation in the long direction and square in the short direction with eased edges. It is constructed using a mold and cast with high strength, fiber-infused concrete with its overall dimension being approximately 2’ x 9’. The concrete is bright white, hand-toweled smooth with a power buffed, glossy finish on all surfaces. Working in collaboration with local Utah artisan, we developed a mold and a foam-and-wood positive so that future editions of the bench could easily be visualized and cast. The first bench was installed on the Manhattan Beach Strand this summer. From now until October 20th, the Rio Gallery will display this year's best and brightest in architecture, industrial, product, information / media / graphic, and realized, conceptual, and prototype design as part of the Design Arts '17 exhibition. The closing reception, which is free and open to the public, will be held on Friday, October 20th from 6-9pm. We hope to see you there to celebrate this achievement and Salt Lake City design!